This episode exceeds the half-hour or so slot we generally aim for by a wide margin, but the material covered is absolutely priceless. Its relevance extends well beyond the Platonist tradition and is applicable to esoteric currents of thought more generally – definitely not one to miss! We are joined by Professor Peter Struck, Chair of the Department of Classical Studies at the University of Pennsylvania, for a fascinating discussion of ancient esoteric hermeneutics. 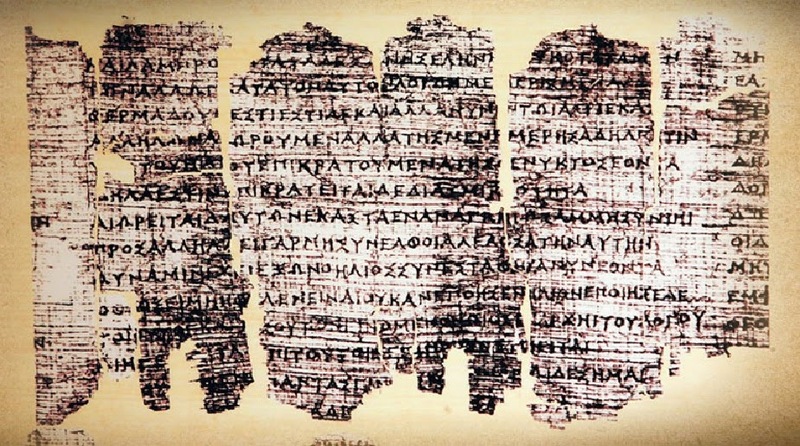 Particularly concentrating on Platonism, we explore some of the hermeneutic strategies by which ancient readers interrogated their texts for deeper meanings than those available on the surface. While this episode is by no means solely devoted to Plato, it is a perfect complement to episode 25 with its introduction to the esoteric reception of that thinker. The question of the ‘intentional fallacy’ among ancient interpreters. Struck, P. T., 2004. Birth of the Symbol: Ancient Readers at the Limits of their Texts. Princeton University Press, Princeton, NJ. Boys-Stones, G. (Ed. ), 2003. Metaphor, Allegory, and the Classical Tradition : Ancient Thought and Modern Revisions. Oxford University Press, Oxford. Derrida, J. (1987). ‘Comment ne pas parler: dénégations’. In: Psyché: invention de l’autre, Galilée. Dillon, J. (1976). ‘Image, Symbol, and Analogy: Three Basic Concept of Neoplatonic Allegorical Exegesis’. In: Harris, R. (Ed. ), The Significance of Neoplatonism, International Society for Neoplatonic Studies. Froidefond, C. (1988). ‘Introduction’. In: (Ed. ), Plutarque. Oeuvres Morales Vol. V Part 2: Isis et Osiris, Les Belles Lettres, Paris. Hölk, C. (1894). de acusmaticis sive symbolis pythagoricis, University of Kiel. Lamberton, R. (1995). ‘The “Aporrhetos Theoria” and the Roles of Secrecy in the History of Platonism’. In: Stroumsa, G. G. & Kippenberg, H. G. (Ed. ), Secrecy and Concealment: Studies in the History of Mediterranean and Near-Eastern Religions, Brill, Leiden. Lamberton, R., 1989. Homer the Theologian: Neoplatonist Allegorical Reading and the Growth of the Epic Tradition. University of California Press, Berkeley, CA. Stroumsa, G. (1996). ‘Myth as Enigma: Cultural Hermeneutics in Late Antiquity’. In: Hasan-Rokem, G. & Shulman, D. (Ed. ), Untying the Knot: On Riddles and Other Enigmatic Modes, Oxford University Press, Oxford.